Easter is a crucial revision period for every AS and A2 level pupil and during this time students have the unique opportunity to extensively plan, prepare and address any concerns regarding their chosen subjects to attain the highest possible predicted grades and therefore competitively place themselves within the applicant pools of increasingly competitive UK universities. 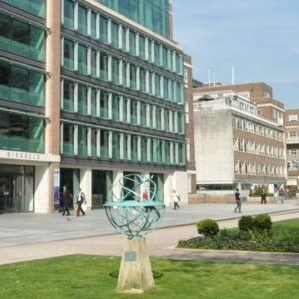 Since 1993, LITE Regal has been preparing students for their future in UK higher education. Our comprehensive understanding and expertise of AS and A2 levels and the revision for these examinations allow our students to fully prepare for and gain confidence with the exams alongside like-minded individuals during the Easter period. 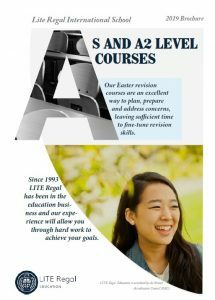 The Easter revision courses at LITE Regal provides our students with the opportunity to fine-tune revision skills, work through problem areas, solidify their knowledge of the subject areas and the A level examination itself while attending our classes at top UK universities in both London and Cambridge. 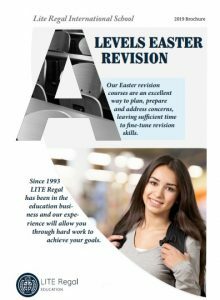 Our Easter revision courses are structured to target appropriate study areas and encompass the extensive practice of past papers. 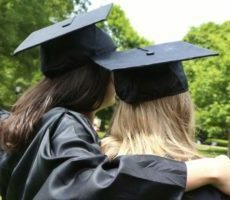 Our top UK university and Oxbridge educated tutors guide our students through proven exam techniques and assist in overcoming problem areas to provide a peace of mind and enable individual students to build the confidence needed to achieve maximum grades during the summer examinations and realise their potential. You will be taught by highly qualified, academic subject tutors, who’s depth of knowledge is exceptional. Small tutorial groups (max 7 students) where individual problematic areas are quickly highlighted and solved. We include mock exams and intensive proven exam techniques practice, two timed tests and final mock exam. We will run assessments at the start of the course in order to identify areas where improvement is needed. You will work through structured revision plans and receive individual assessment and support on every day. 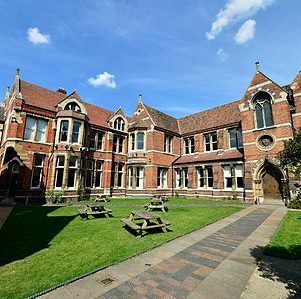 High quality, full-board accommodation in single en-suite rooms with 24 hours supervision on University campus. All subjects are also available through individual one-to-one tuition. Please contact us for personalised quote. For subjects not listed please contact our admissions team atinfo@litecollege.co.uk. Full board accommodation is available for the entire course of study. The students are placed in single rooms with 24 hour supervision in a college residence. Students booking accommodation will be scheduled to arrive on the Sunday preceding their first day of study. 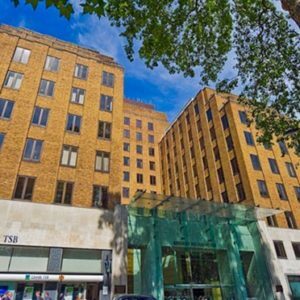 We now accept applications for our London and Cambridge centers.